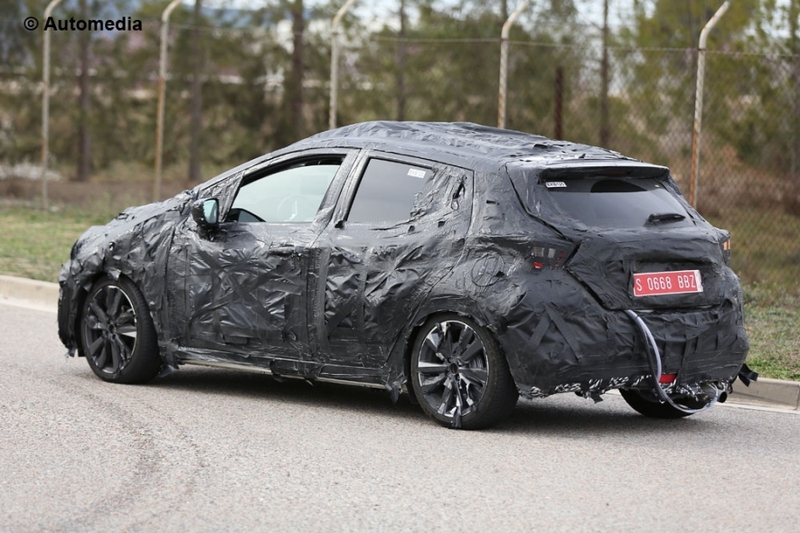 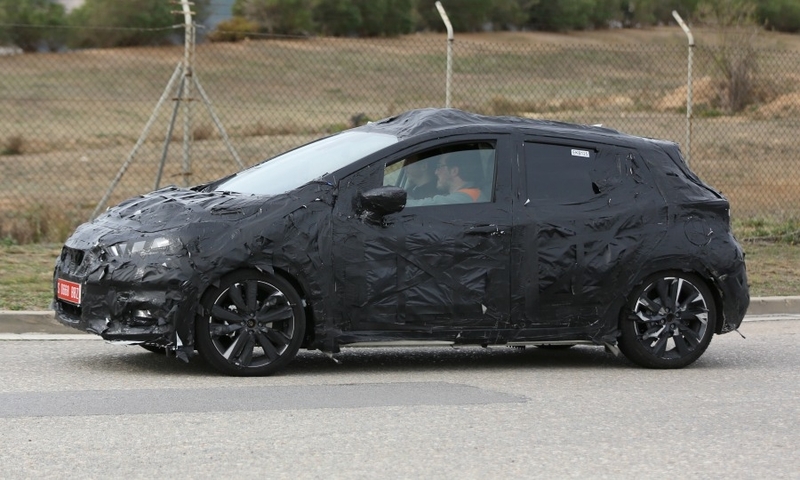 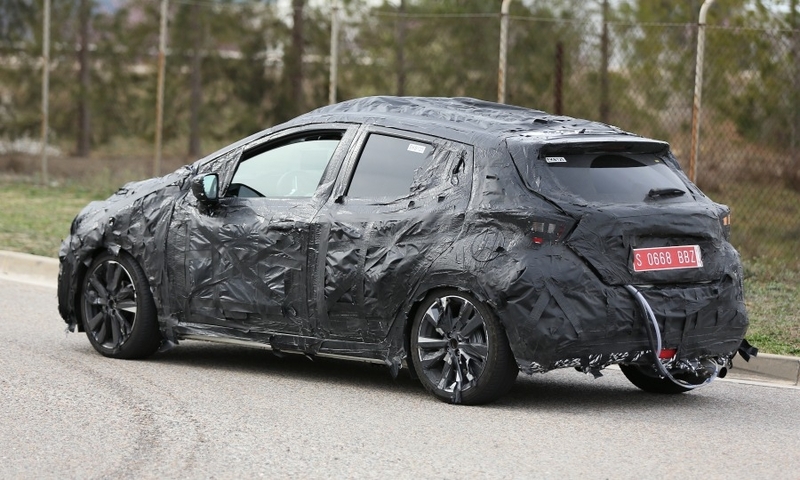 Nissan's new Micra subcompact car will adopt styling cues from the company's Sway concept such as a floating roof design and C-shaped taillight enclosures. 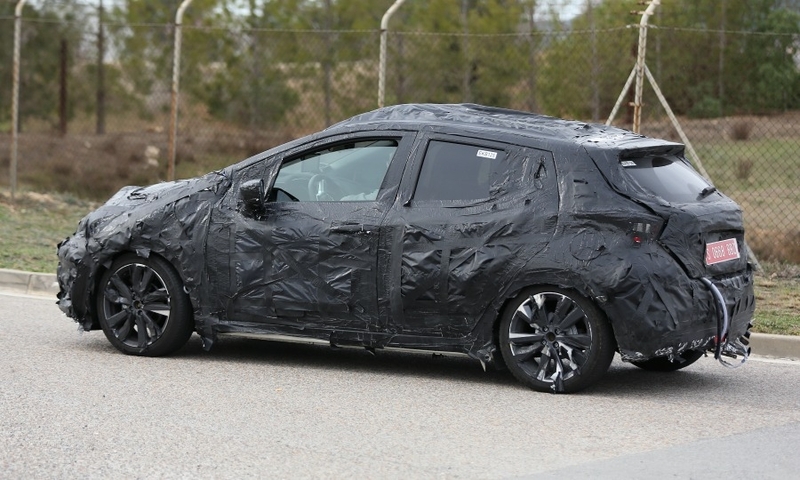 It will also have Nissan's V-shaped grille flanked by sleek headlamps, an aggressive front bumper and a sculpted hood. 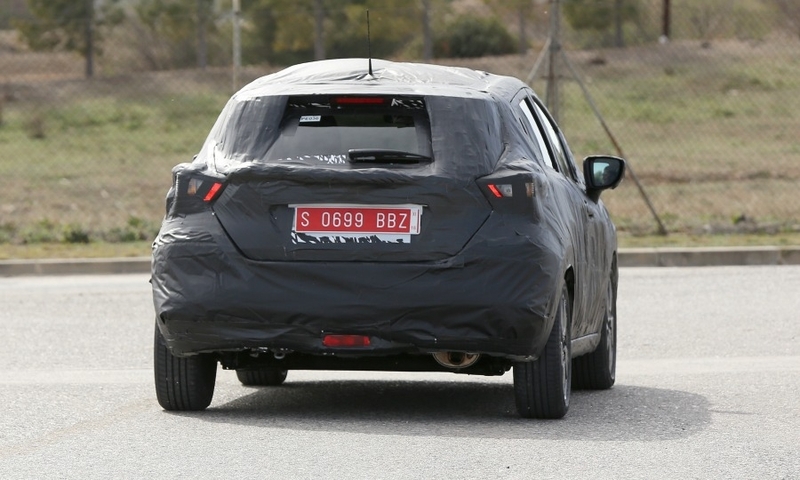 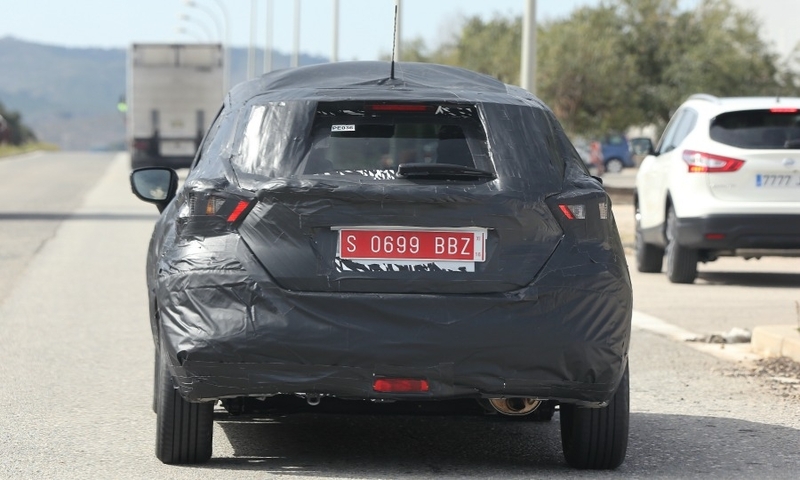 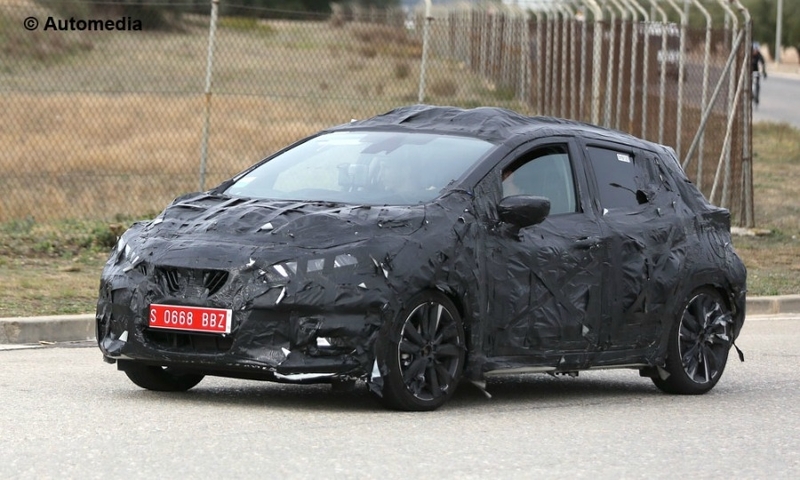 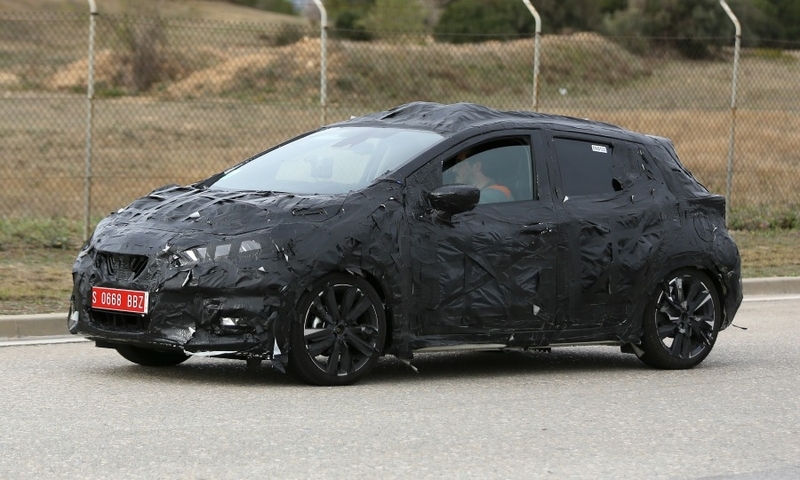 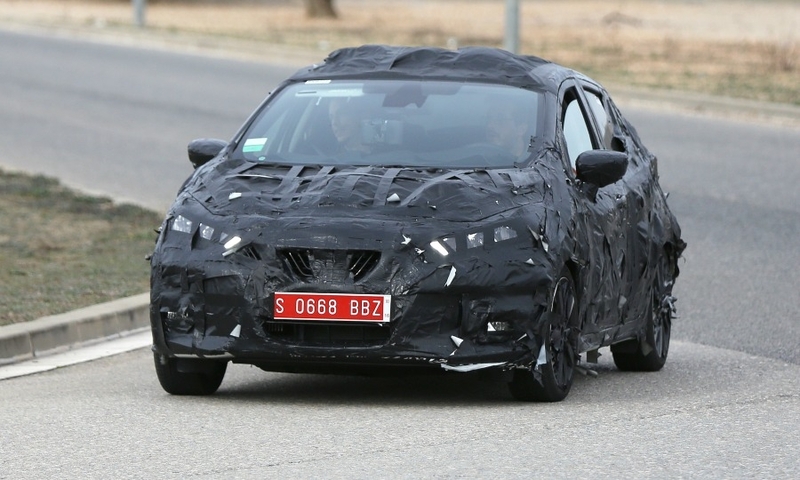 The car is pictured undergoing road tests in southern Europe. 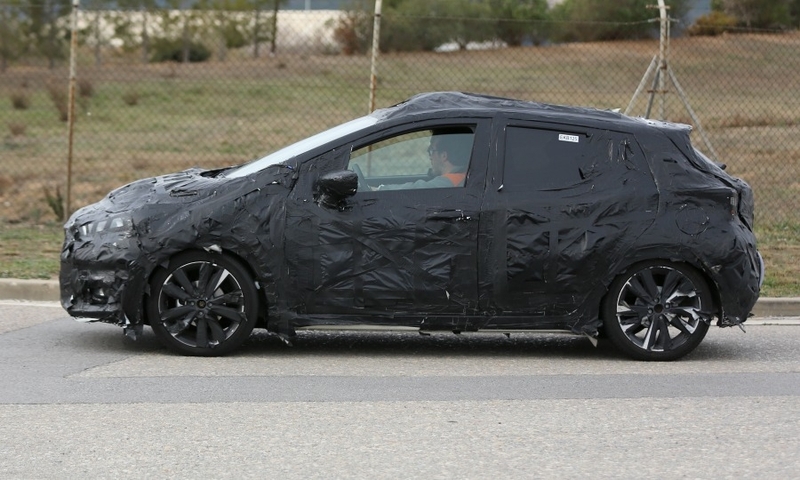 The Micra will be built for Europe in Renault's factory in Flins, France.